Freebase Cocaine: What is it? What are its Effects and Dangers? 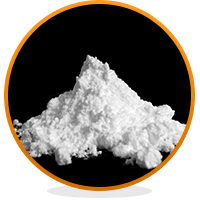 Freebasing or freebase cocaine is one of the methods of cocaine consumption in which dealers convert powder cocaine into a heat-stable form. This way, you can smoke it. Freebase cocaine or freebase coke has higher lipid solubility thus allowing it to diffuse into the brain more rapidly. Therefore, it produces a faster high than other methods such as snorting, or comparable to intravenous use. They call it by other names such as smoked cocaine, freebase, or cocaine base. Cocaine hydrochloride or simply cocaine HCl is heat-labile. Therefore, you can’t smoke it. Freebasing offers a more effective way for self-administration and can also produce more intense effects. What are the Effects of Cocaine Freebasing? Overdose Risks: What’s the Influence? Freebasing extracts the cocaine alkaloid from its natural salt form by using ammonia. Then, they treat the mixture with a non-polar solvent such as benzene or diethyl ether. This treatment results in the formation of two separate layers of which the upper layer consists of the dissolved cocaine. Lastly, they evaporate the solvent containing cocaine to obtain the cocaine. Freebasing also renders the cocaine free from water-soluble impurities and other useless components. Therefore, freebasing produces almost the purest form of cocaine. Cocaine Freebase vs HCl: What’s the Difference? The basic difference between freebase cocaine and its hydrochloride form (HCl) is the way people abuse it for recreational purposes. Users smoke the former type while they inject or snort latter one. Cocaine hydrochloride is available in the form of water-soluble powder or granule. Therefore, addicts use the hydrochloride form by oral, intravenous or intranasal route. On the other hand, they smoke the freebase cocaine because it has high melting point. Hence, it retains substantial cocaine to produce the “high” even when taken by smoking. You can smoke both freebase cocaine and crack cocaine. Many may consider these two forms to be the same or at least similar. However, there are certain factors that differentiate one from the other. Freebase cocaine is almost 100% pure and has a very low water solubility. It can withstand degradation from the heat during smoking, and reach the brain rapidly due to its high lipid solubility. You get crack cocaine from the cocaine powder after treating it with baking soda in the presence of heat. The crack is available as a wax-like substance. Dealers often call it “rock of crack”. Cocaine is one of the stimulants that users abuse the most. Addicts use various forms of cocaine in the form of injection, smoke or sniffs. Freebase cocaine abuse account for a significant portion of the deaths due to illicit drug use. Some evidence also suggests greater crime rates among individuals who use crack cocaine. However, confirmations are not yet available. 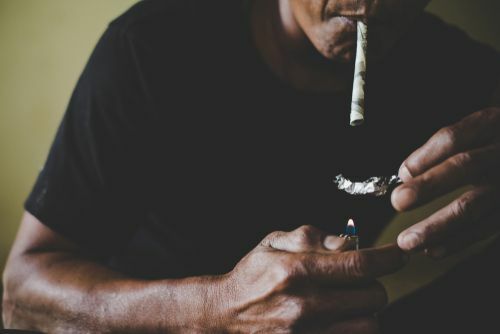 However, the primary factors that determine the degree of addiction and health impacts are the amount they use, frequency, what is cocaine cut with and duration. Surprisingly, the form of cocaine itself isn’t as important. Initially, the short-term effects of freebase cocaine are pleasurable in nature. This is the underlying reason behind its abuse and subsequent addiction. When one smokes cocaine, you almost instantly become euphoric. This can lead to cocaine addiction over a long period of time. Studies suggest the users taking freebase cocaine have more intense cravings. This is when you compare it to those taking it by other routes. In addition, an individual’s personality traits also influence the intensity of cocaine cravings. Besides, there are many long-term effects of cocaine use in general which are essential to know them. A large number of individuals using freebase cocaine have other co-occurring conditions. The most common ones are psychiatric disorders, mood disorders, and anxiety disorders. Because it’s easier to inject and the high amount of it reaching the brain, there’s a significant risk of overdose. Furthermore, freebase cocaine overdose can cause life-threatening lung injury. Cocaine overdose is a very serious condition that calls for immediate medical attention. Failure to get prompt treatment can be very serious often leading to death. Freebasing is A Dangerous Act. Why? They use benzene as one of the solvents in freebasing. It’s a carcinogen, which means handling without protection can lead to cancers of several types in the user. They limit the use of benzene these days due to its cancer-causing properties. During the freebasing process, another common solvent, Diethyl ether, is a very flammable liquid. It can form an explosive when you mix it with air. In addition, many addicts abuse diethyl ether for its intoxicating effects. Do you have any questions about Freebase cocaine or Freebasing? Or do you want to learn more about cocaine addiction and its treatments? Talk to the experts near you. Click here to connect with the best in your area. Addiction Resource » Addictive Substances: The Anatomy of Drug Addiction » Cocaine and Crack Addiction and Treatment » Freebase Cocaine: What is it? What are its Effects and Dangers?